The first step in making laundry easier and reducing the number of laundry loads and expense you have to do is to shop wisely for clothing. Cleaning and care of our clothing depends on the type of fabric and construction and can become quite expensive over the life of the garment. Labels identifying the fiber content and care instructions for clothes are mandated by the government in the United States.Many other countries also identify the fiber content of the fabric and use international care symbols to help you keep your clothes looking great. The laundry symbols on care labels - circles, squares, triangles, wash tubs and irons - were developed as part of the International Organization for Standardization (ISO). Symbols, rather than words, were chosen to better convey information around the world. While there are variations in Europe and Asia, the basic shapes transcend continent borders. Mastering the five basic symbols will save hundreds of dollars over the years in ruined clothes. Trips to the dry cleaners are expensive. So, selecting clothes that can be washed at home are particularly important for children, those who work with children or anyone who needs to reduce clothing care costs. There are exceptions to this rule of course. Tailored coats, business suits and special occasion wear are worth the costs of professional cleaning. But for everyday clothing, choose fabrics and styles that are washable. A full load of laundry costs around $1.00 including laundry products and utility costs. The cost of cleaning one dry clean only garment is significantly more. It is particularly important for clothing that will be worn close to the body - shirts, blouses, undergarments - to choose items that can go in the washer or can be hand washed. By wearing a washable garment under dry clean only fabrics, you may be able to avoid some trips to the cleaners. Clothing that will be worn and washed often must be well-made to last through more than one season. For basic items like white shirts, khaki trousers or jeans, paying a bit more for quality construction will save money in the long run. For trendy items, less expensive clothes that will only be worn for one season are a better option. Before you buy, look at seam construction, buttons and interior lining to be sure the item looks sturdy. If you see loose threads, big stitches and puckered seams, the item is not going to last through many washes. Read labels carefully about how the garment was dyed - natural or synthetic dye. Natural dyes have a tendency to run and will ruin other garments in the wash load. 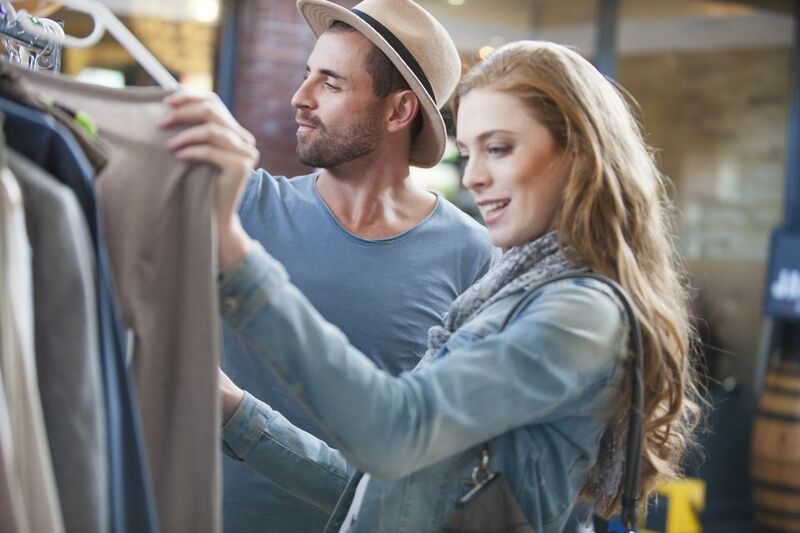 If you see a clothing label that appears to be discolored, beware. It usually means that color transfer has - and can again - occur. Obviously, there are some types of fabric that require less care than others. 100 percent natural fabrics like cotton and linen are most often going to require ironing to maintain a wrinkle-free appearance. Selecting garments that include some man-made fibers - even 5 percent - can reduce the need for ironing. Knitted fabrics typically release wrinkles more easily than woven fabrics. Knits can reduce or eliminate dryer usage and still look unwrinkled. With just a bit of planning, you can reduce your laundry problems, have clothes that last longer and reduce the amount of energy you use in the laundry room.